Hey guys hopefuly somebody here will be able to help me out. 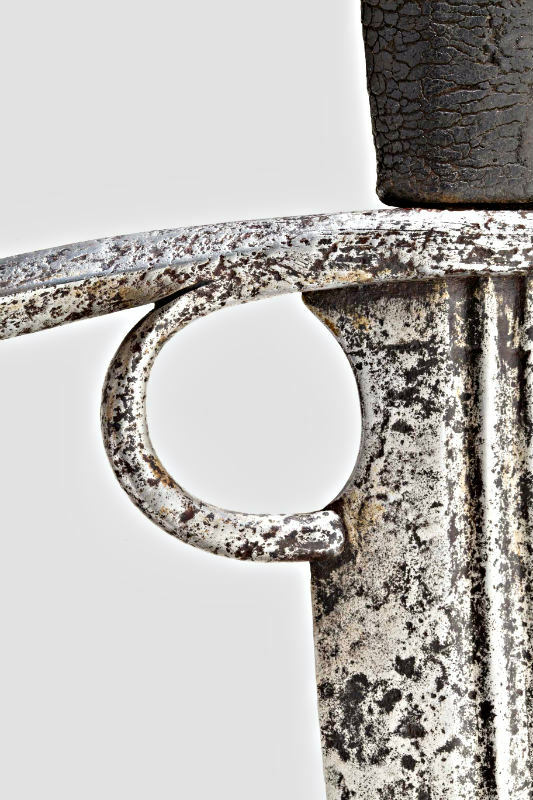 I'm looking for pictures of swords with a single finger ring attached to the cross, so far the only example I've seen is the one from Alexandria (I think it's XIX no.1 in Oakeshott's Records). Thanks in advance. I love the hand-and-a-half with the fingerbugel (sorry, no umlaut on my keyboard). 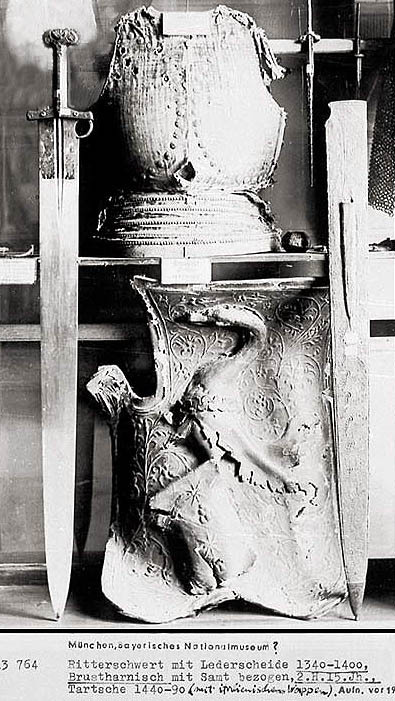 I don't think that it is a XIX, but it's hard to tell from that photo. I searched for a translation for Parierstrange - perhaps guard or quillon? 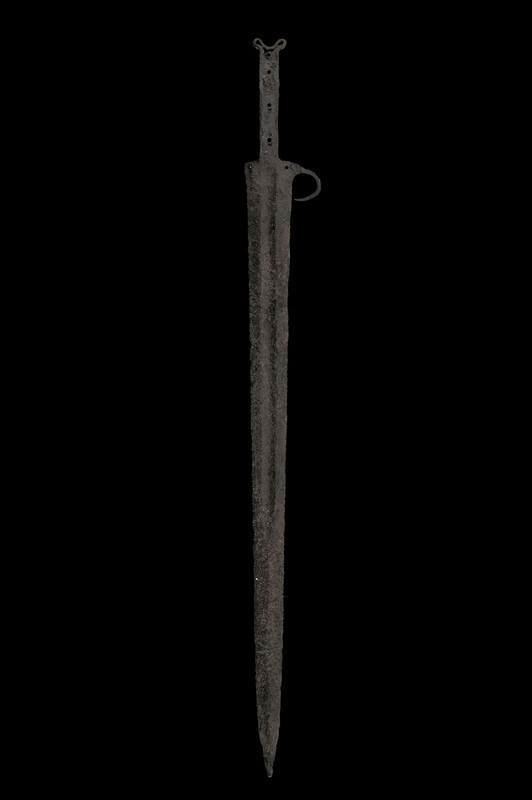 Here is another photo of that sword, from its home in Armeria Reale, Turin - Italian, circa 1350. Could it be a XVIa? 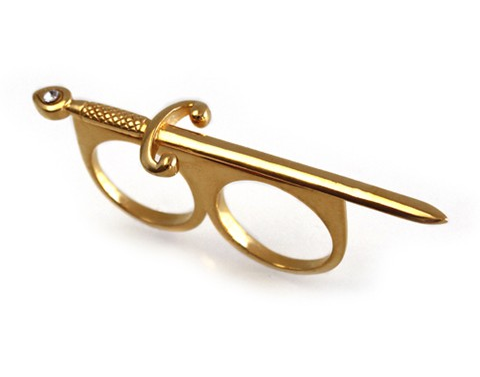 That word translates roughly as something like "parrying bar" and is used as we use the term guard/cross. Tim, that last blade calls to me. Would you call it a baselard? Where is that picture from? Any more info? Direct me to any other threads on it? 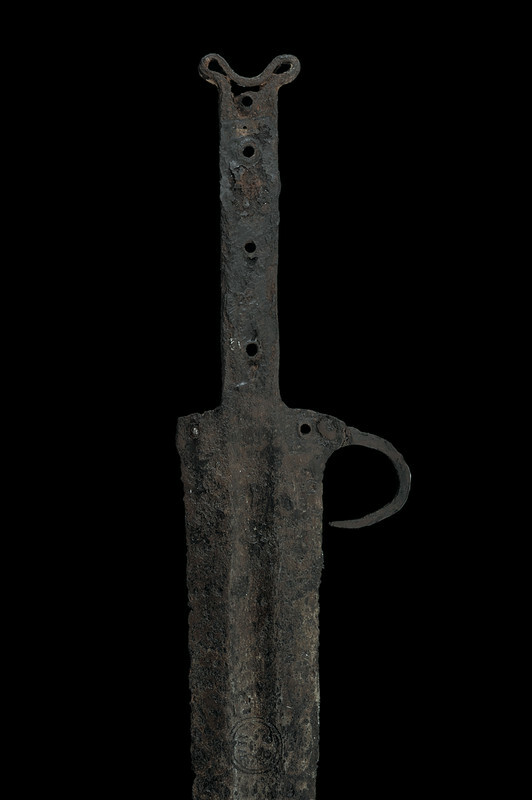 Oh my goodness,that Rob Miller piece must be one of the most beautiful swords I have ever seen!!!! The 3rd one that Tim posted is from an Italian auction house called Czerny's. Does this count? It does have 2 rings instead of one. Stunning blade Ant! 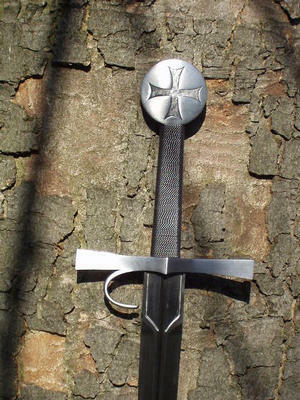 Please post pictures of the entire blade once you have it in hands. Ant your sword is amazing, congratulations! Rob Miller certainly has talent. I found more pictures here http://www.castlekeep.co.uk/gallery.asp?galleryid=267, but if you find some time, please post more photos! Here's a color pic of the one from Turin. 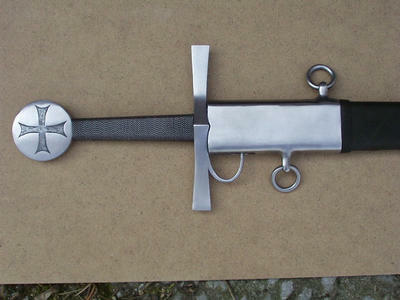 One of these days I must commission A&A to make me a custom version of that Turin sword. A fair while back, I asked Armart to make me a custom version of Oakeshott Records XIX.7. 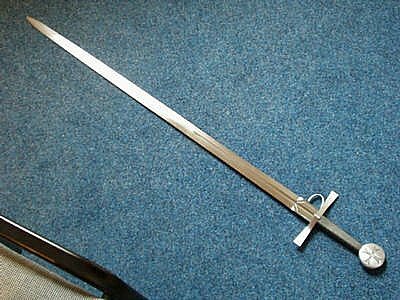 They have since marketed it as a production sword, S34. They did a good job, except for the grooves on the ricasso. 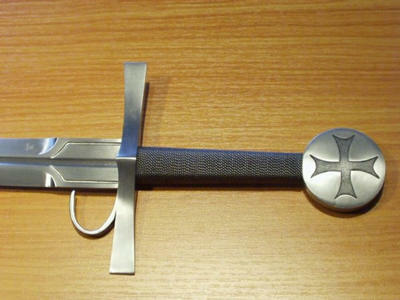 The scabbard is very nice. Hey guys, sorry for the delay in my reply, I was having some trouble with my computer. 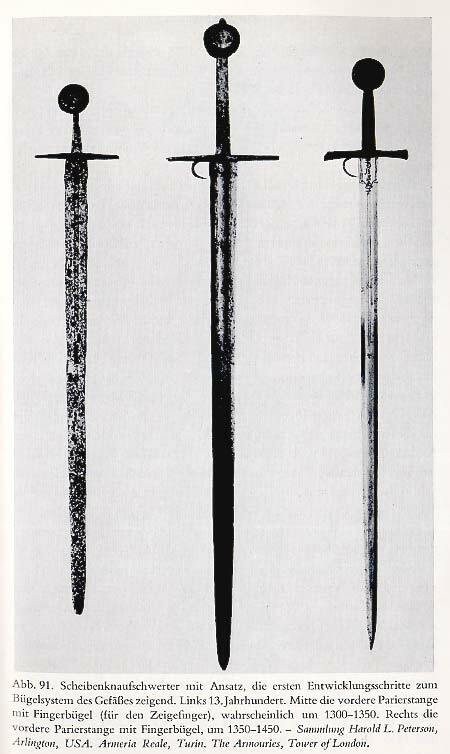 Anyways, thanks for the pics everyone, and if anyone knows of any other examples please share them, also if their are any paintings of this kind of sword, I would love to see them. Nice find Roger. Thanks for sharing.